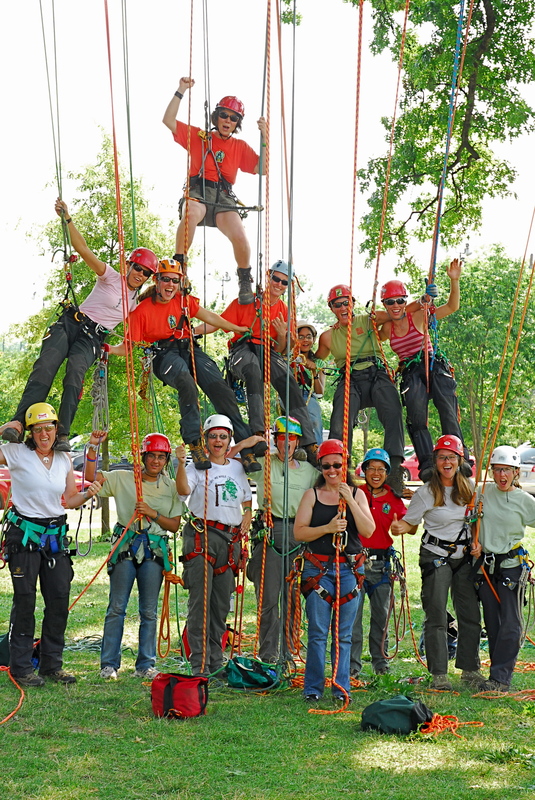 Anyway, working with SherrillTree on website copy and connecting with trade publications to land editorial placement for new products and articles, I had the opportunity to attend my first ITCC (International Tree Climbing Competition). I was there to meet with the various editors of the trade publications related to arboriculture. But I got much more than I could ever hope to experience firsthand. 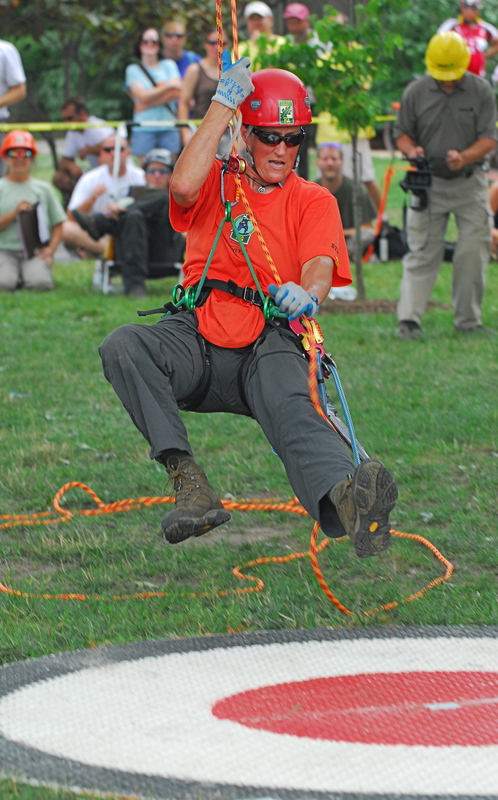 Bernd Strasser, known as ‘Beddes’ won for his 8th time as the Men’s International Tree Climbing Champion. You can even get your own poster of Beddes, should you choose. He prefers sleeping in trees than indoors. 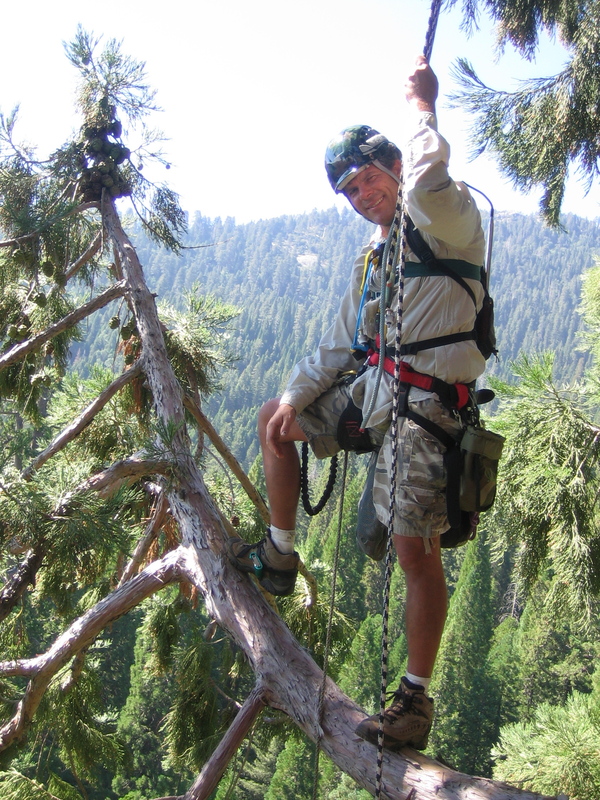 He’s amazingly agile and a brilliant inventor of safer and more effective tree gear. But I seriously digress. 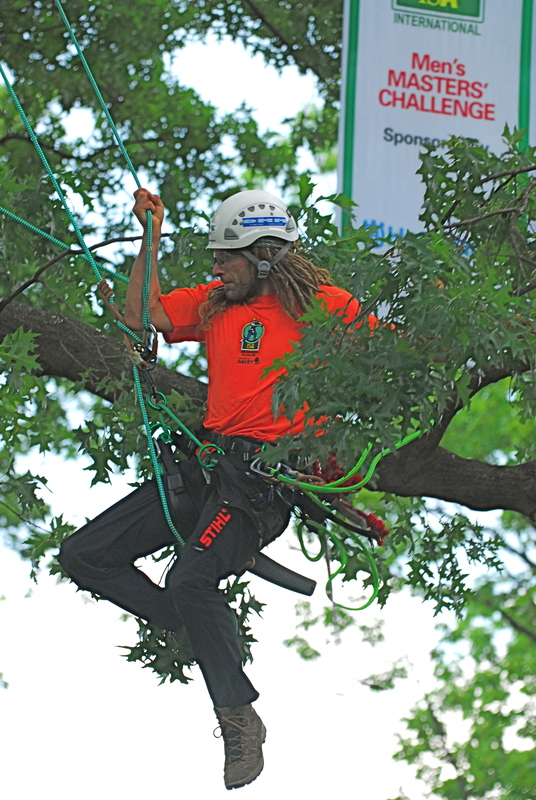 At the ITCC and at all the regional events prior to ITCC, arborists set up the events that will take place in as many as 5 different trees during a two-day competition. Set up day is 24 hours prior to the first day of competition. As you might imagine, the events are held outdoors and come rain, wind, snow et all, these nimble men and women ascend into the canopies of the trees to make sure all is ready and all is safe for the competition. It may take 12 to 15 hours or more but to the set up team, it’s worth it. 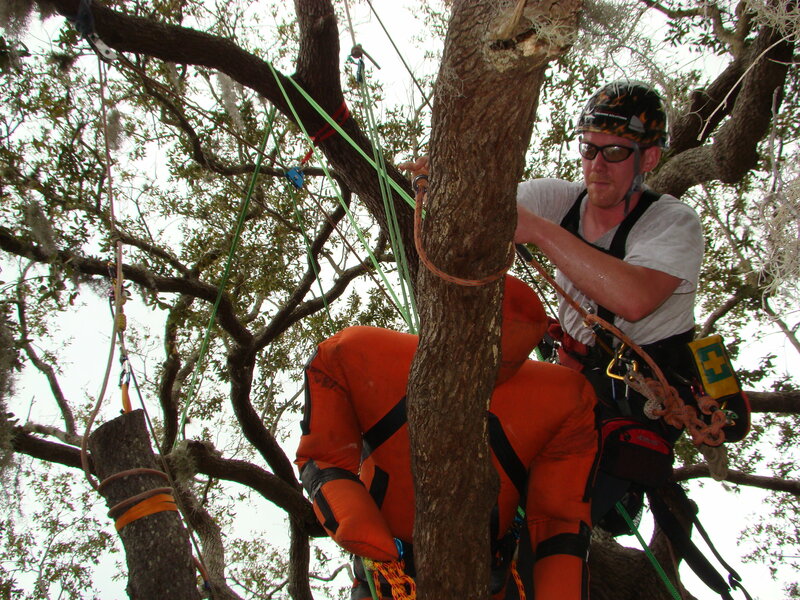 Their family’s (fellow arborists) lives depend on their skilled work and attention to detail. So, how does this relate to effective communication? 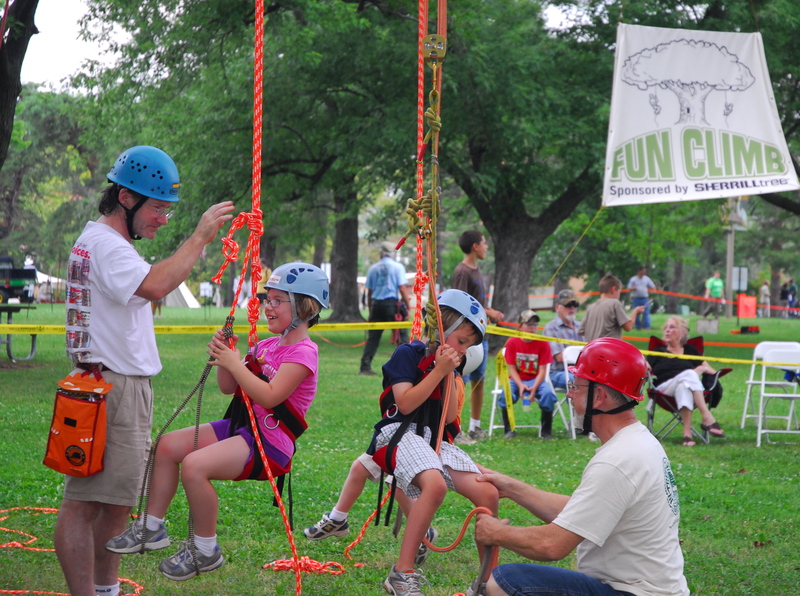 Try setting up a tree climbing competition. Better yet, consider how arborists work together and see if this is how you wish your business were running today. The event dates are pre-planned. The set-up crew for the event arrives at least one day if not two days prior to the first day of competition. There is always a leader or manager, if you will who oversees every part of the set-up to the tear down. No one fails to show up. No one calls in sick unless he or she is literally coughing up a lung. Mostly held in parks, skilled arborists use certain criteria when reviewing and approving each tree that will be a part of the two-day event. The teams setting up equipment in the approved trees don’t bicker or whine over who does what and which tree they wish they could set up. The leader sends out the arborists and the work gets done. When the rain falls, and it can fall hard when you’re 50 or 60 feet up in the canopy of a tree, no one complains. The work must get done. There are lives at stake. If it takes the set-up crew 15 or 16 hours instead of just 10 hours, there’s no arborist moaning to the leader about pay or taking off early at the end of the event. They may all moan a bit together with a wry smile as they each head to take a shower before they eat. Maybe understanding communication is much easier than we all make it out to be. In business, there is a leader or a boss or a supervisor or a manager. He or she oversees what employees do. It is his or her responsibility to make sure that each employee meets certain goals on time and at an expected high level of quality. To be fair, effective communication goes both ways. If the leader, supervisor or manager does not provide clear, concise direction, how can the business expect to receive the best end result from its employees? If the boss has a problem with one or two of his or her employees and will not deal with the situation in a professional manner but merely avoids the problem all together, the business suffers just as it suffers when an employee has failed to discuss daily assignments, concerns and so on with his or her supervisor and therefore loses connection with the business and interest in his or her work. You may recognize such an employee as he or she watches the clock ready to head to the door to leave at 4:59:59. Without effective communication, there is no boss-to-employee connection. Without this connection within the company, how do employees know what is expected and why and when? The solution? Get back to the basics. Never assume the employees you oversee understand everything you are expecting them to understand without conveying the information to them personally, in detail and by asking them if they understand the task or tasks they are assigned waiting until they answer this important question. When you fail to communicate effectively, your employees end up wasting more company time than is necessary trying to figure things out themselves. Your bottom line is negatively impacted. If you don’t understand something, ask. If you aren’t sure, ask. If you have a problem, set up a meeting with your supervisor. It is your responsibility to find out what you need, what you may not completely understand and not just guess. When you fail to ask questions, you’re guessing what to do with someone else’s bottom line. In this economy, employers don’t have much room for employee error. So why not take in a great event at the end of the month and get a firsthand look at communication in action. This year’s ITCC is in Lisle, Illinois on July 24th – 25th. If you’re in the area, consider seeing what I call, The Cirque De Soleil of the Trees performed by some of the most talented, intelligent and effective communicators you will ever meet. To find a qualified arborist across the U.S. or across the globe, visit North American Training Solutions (NATS) and request information. Communication is the key to success or failure in production tree care. It is also the literal difference between life and death on the job site. This is evident in the statistics of “Struck-by” incidents. A “struck by” is when a worker collides with or is hit with another object such as a falling log or branch. I will not bore nor insult you with the obvious conclusion. You can cipher for yourself how communication plays a key role in tree care. Melodramatics aside 14 years in the trees has taught me quite a few valuable communications lessons. The one that stands out the most is, as is often the case, the simplest. Effective communication is two parts listening and one part speaking. As our first president said, and I paraphrase, use your ears and mouth in the proportion you posses them. Effective listening requires skill, patience and practice, but will speed along your communication skills like nothing else. Knowing what your partner is saying and responding with accurate, honest answers is the whole ball of wax. Effective listening shows you care about the person speaking which in turn causes him or her to respect what you say in turn. I could go on, but it would be contrary to my point! So give listening a try. Test Your Readiness To Offer Social Media To Customers By Answering These 10 Questions What&apos;s Your Favorite Quote & Why?